Outdoor seating in public places like parks, playgrounds, and courtyards is often hard to come by. This problem often causes people to sit and loiter in undesirable locations. There’s no need for this though. The Workplace Depot is excited to offer the Park Seat, a comfortable, maintenance free place for park goers, spectators, moms and babysitters to sit. 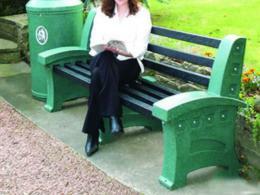 The park seat is made in numerous colors and is comprised of recycled and recyclable plastics. 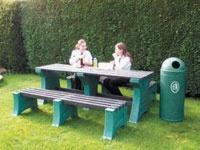 The park seat can bolt to the ground to make for a sturdy and theft resistant bench to be used in any outdoor area. Depending on the model, the part seat can comfortably fit 3 to 8 people. What is the Purpose of a Park Seat? The park seat offers seating for parents at playgrounds, general park goers, and many many more pedestrians looking to have a seat outdoors. The park seat is a dependable and tough seat on which people can rest their feet. 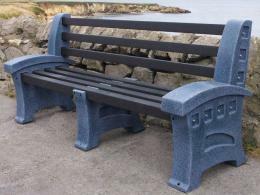 The park seat is resistant to hooligans attempting to steal it since it can easily fasten tightly and securely to the ground. The park seat is made in many different colors which makes the seat ideal for most any settings and color scheme. The park seat works on any surface that is level. People will be sitting on it in no time. In terms of exact locations, the park seat would make a great addition to universities, parks, office buildings, and any other areas that has a need for accommodating more people with a great place to sit. The park seat has a sleek and inviting design. Depending on the model, it can comfortably sit anywhere from three to eight people. The double-sided model puts two park seats back to back for twice the seating. 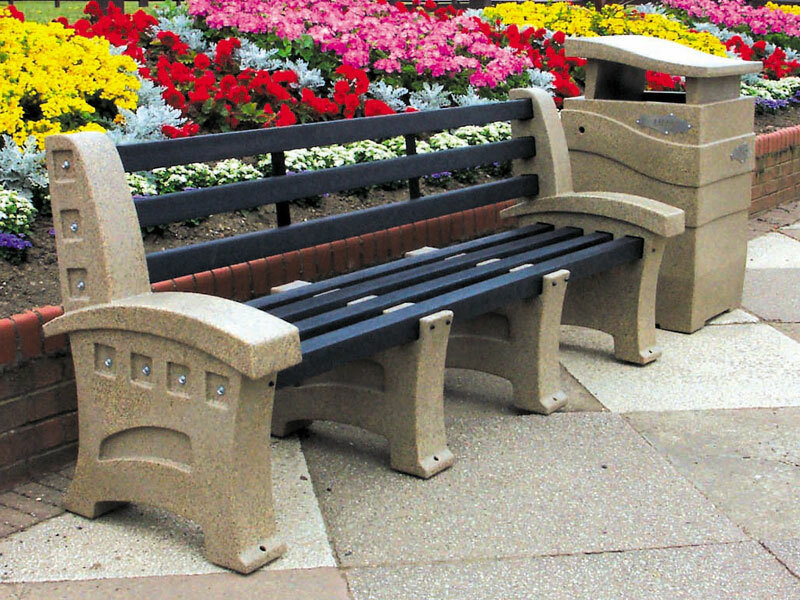 This park seat provides a truly wonderful sitting area for schools, office buildings, and many other places with ample amounts of occupants spending time outside. Not matter if it’s a ball field, park, courtyard, playground, or another type of outdoor space, the park seat makes a great place to sit.